Written by Dr. Rashid Al Saadi. Are you in search of serenity, beauty and pleasure at a good bargain? Then don’t hesitate to make Slovenia your destination. This charming small European country epitomizes the wind-swept beauty of the Swiss Alps, Austrian chalets, Finnish forests, French slopes, German castles, Spanish architecture, and Italian gastronomy. Yet, it is unfair to compare Slovenia with its sister countries because it has its own charming life and culture. As a family of eight, we visited Slovenia for our second successive vacation. Every time we visit this place, we get mesmerized by the beauty of the lush green land and the reflections on the crystal-like surfaces of the turquoise-green lakes. The locals are warm and inviting towards foreign visitors and go out of their way to offer any guidance. Our guides from Slovenia Explorer were very friendly and worked hard to satisfy our every need. I loved this place so much that I recorded the details of our last trip immediately in my travel blog. Slovenia has an area of only around 20,000 square kilometers with a population of two million, so you can reach almost any destination in less than ninety minutes if you’re staying in Ljubljana. After touring most of its major cities and towns last year, we picked Kranjska gora for this year's vacation. We stayed there for ten days. Kranjska Gora, situated in northwestern Slovenia, close to the Austrian border, is a wonderful place for summer or winter activities. Activities include mountaineering, golfing, hiking, biking, gambling, snowboarding, horse riding, and skiing, just to mention a few. 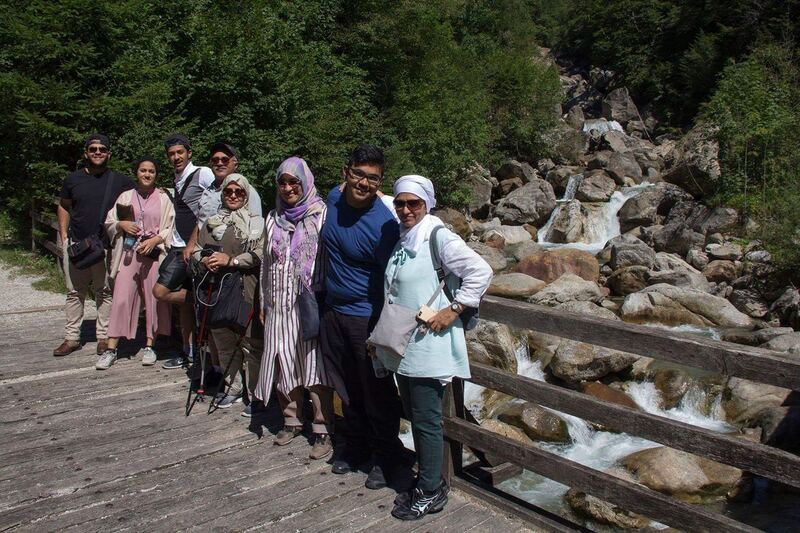 When I reflect on this last trip, I would definitely point out that most of us really loved the natural sights and sounds of the place, enjoyed the food, appreciated the culture, and developed genuine respect for its people. 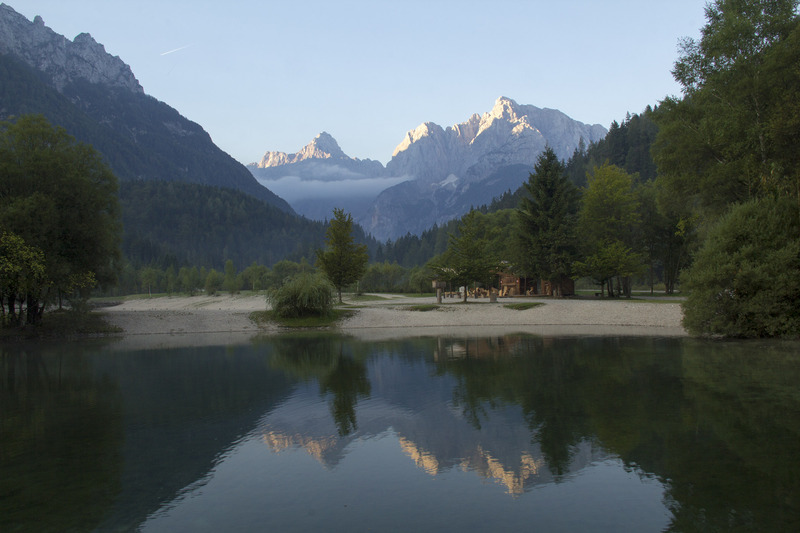 On Nature In this northwestern part of Slovenia, water seeps and falls through the scenic peaks and gorges of the Julian Alps into the Soča Valley as a river, where it meets the thick forests with their wild flowers. Just listening to this emerald colored water’s slow swooshing can soothe any stressed soul. This is only one example of the country’s rich water resources and their therapeutic effects on people. The Zelenci springs and nature reserve is another beauty that inspires artistic passion in visitors. Jasna lake is yet one more breathtaking lake that reflects images of the nearby mountains like a mirror. This part of Slovenia is a hiking heaven. 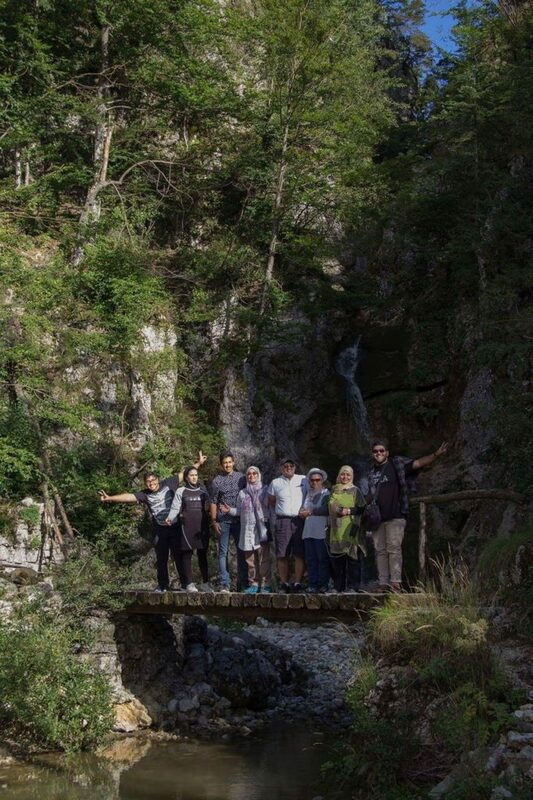 Hikers can enjoy the Peričnik waterfalls in Mojstrana, in Martuljški near Kranjska Gora or in the Mostnica gorge, and they can even sleep at many mountain chalets around Lake Bohinj that are dedicated to hikers. Besides many hiking trails, most of our group hired horses from the Mrcina Ranč and went horse riding around Lake Bohinj. The stronger ones tried mountain biking for the first time. The rest of us cycled in and around the town. 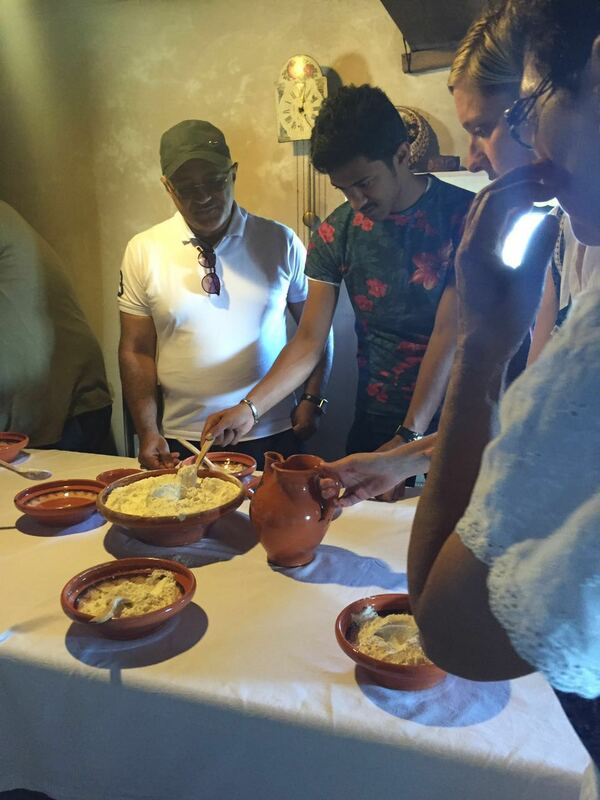 On Cuisine A gostilna is a special type of restaurant that is set up in family homes and uses local produce. Slovenians are obsessed with using fresh and local ingredients in their dishes. Here, I will group the food that we loved during our vacation under menu headings. You may find the respective gostilna addresses in my blog (mentioned above). For drinks, we had mountain white flower juice, freshly squeezed grape or apple juice and fresh mountain water. For starters, we were served salad from the garden, raw minced meat, slices of different types of tomatoes, tomato jam, salmon and white fish carpaccio, sweet walnut processed over two years, noodle beef soup, and cucumber soup. For the main dish, we enjoyed a chamois leg with yellow cabbage, carrot paste and cottage cheese dumplings. Also, we had grilled trout served with potato mixed with cheese, a delicious creamy cabbage covered with a crust of pie and a tray of beans covered with bread crumbs. The best dish we had was a tasty whole roasted lamb with Slovenian bread, tomatoes, hot pepper, cucumber with yogurt, and scallions. To finish off, our dessert consisted of štruklji, gibanica, red currant pie, and blueberry pie. On History and Culture To discover and experience Slovenian history and culture, one needs an infinite number of visits. A visit to the Military History Museum in Pivka will tell the story of Slovenia’s independence from former Yugoslavia in 1991. A visit to the Dražgoše monument that serves as a testimonial to the struggle with the Germans during the Second World War is also recommended. The Kranj Tunnels were built by the Germans but was used by the locals for protection against air raids during the Second World War. Gradually, one can integrate this information into a bigger historical picture. The Technical Museum in Bistra is a good place to learn about the daily life of Slovenians. We learned that the abundant trees in this region have facilitated the woodworking industry and saw the progress of machinery development from simple workshop tools into modern logging and woodworking vehicles and machines. 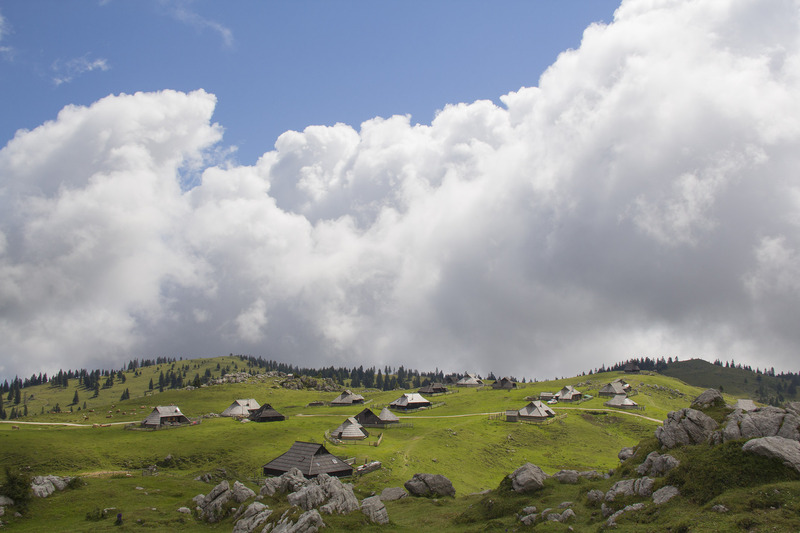 When walking along the highland pastures of the Kamnik Alps plateau in Velika Planina, one can appreciate the herdsmen’s settlements and their simple lifestyles. The Mercury Museum has exhibits showing the miners’ hard work and the harsh dusty environments that they faced almost daily. Their wives worked in embroidery during their free time. 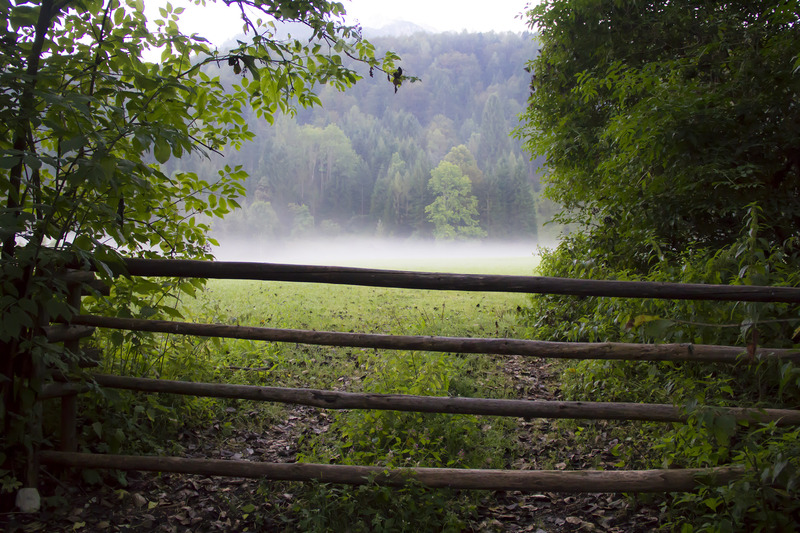 To better understand the Slovenian way of life, we visited three rustic homes. The first one was in Zgornje Palovče. Each one of us attempted baking simple Slovenian bread in an old wood-fired oven. In the second home in Mlinska cesta Bled, we saw many traditional Slovenian collections of old artifacts used by predecessors, and appreciated the different cultures we came across. If you have kids and teenagers like us, you will notice how enlightening these experiences are for their future abilities, like problem solving. In the third house, we had a delicious lunch in a farm called Naš Raj near the town of Idrija, which is famous for its local cuisine. Nietzsche once said “without music life would be a mistake.” Slovenian music is closely related to the Austrians’ and influenced by the Croatians’ and the northern Italians’ music. We attended a lively folklore music performance while having dinner at the restaurant of the Music Museum of Avsenik. It was a superb show. The floor was full of seniors dancing happily to almost every folklore song that was being played. On People The Slovenians are very hospitable. The CEO of Slovenia Explorer hosted a great lunch for our group at the Kranjska Gora Berghi Apartments, where we were staying. The apartment owner was remarkably flexible and broadminded in meeting all of our needs during our stay. They were especially tolerant and knowledgeable. Our guides would wait, explain further, and put in extra efforts while conducting their job. They were conservative, but inviting. The locals were more than happy and patient to help us with any guidance. Final thoughts We were really sad when the last day of our visit finally arrived. We knew that we would miss the good people whom we had befriended. 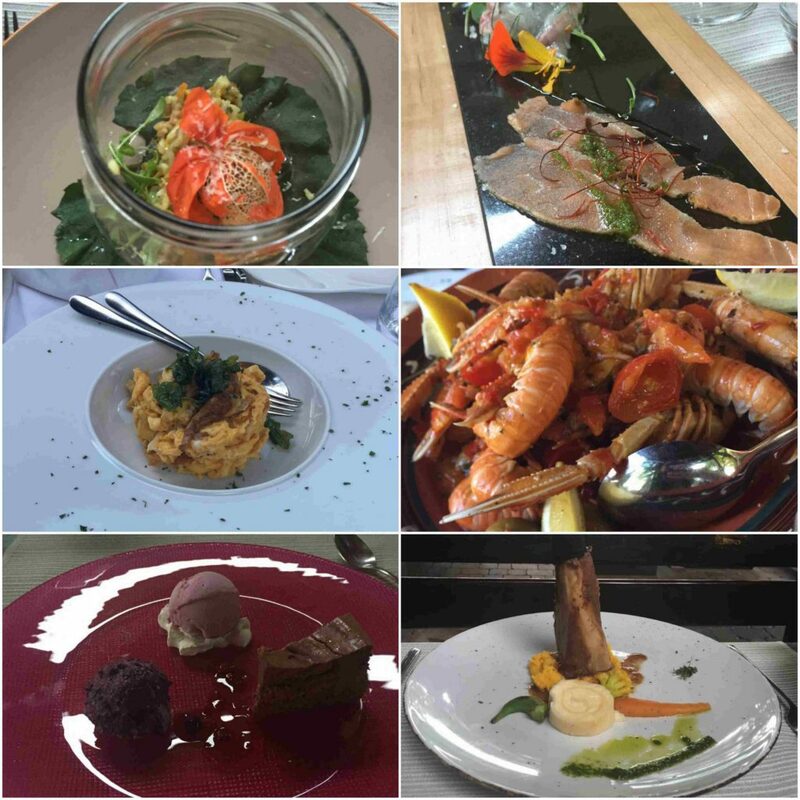 We would miss the fresh Slovenian food and the natural sights that had beautified our eyes and souls. We then asked ourselves a question: “Are we coming back?” Well, definitely YES! And so should you, as we strongly recommend. Tagged culture, food, gastronomy, geography, Gorenjska region, history, off the beaten track, river, traditional, Triglav National park, UNESCO. Bookmark the permalink.